The PKI 6400 EOD Convoy Jammer is a broadband barrage type jamming system designed for VIP, Government and military convoys. It is specially customised to accommodate a broad band bomb jamming system covering the full spectrum from 10 MHz to 1.2 GHz (3dB bandwidth). 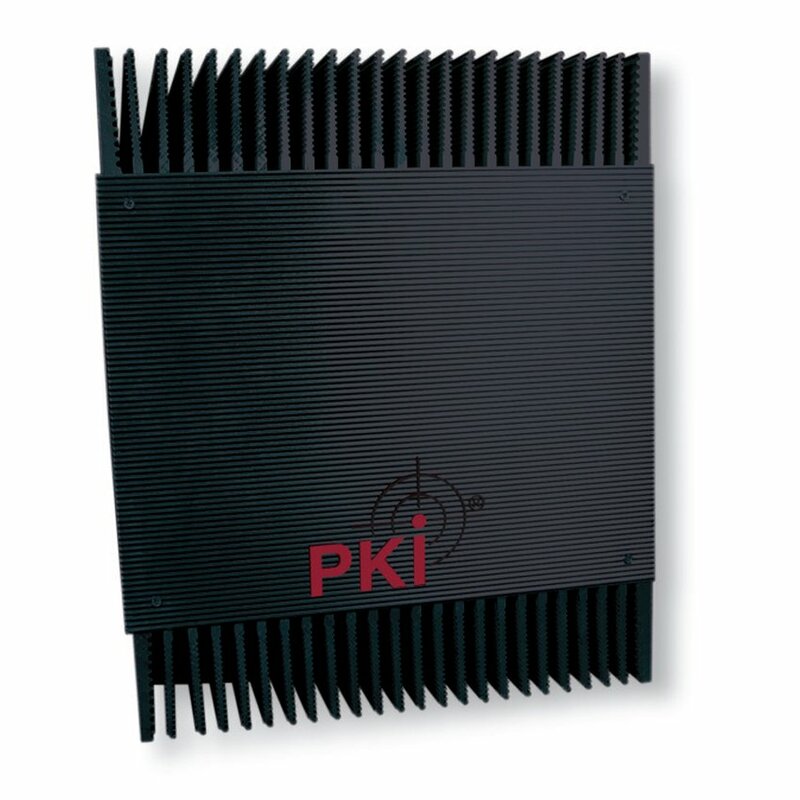 The PKI 6400 is normally installed in the boot of a car with antennas mounted on top of the rear wings or on the roof. Its total output power is 400 W rms. The unit is controlled via a wired remote control box which contains the master on/off switch, band selection and low battery warning LED. Reverse polarity protection is fitted as standard. The unit requires a 24 V power supply. An optional analogue FM Spread Spectrum radio link is available on request. This system is able to operate in a jamming signal to communication link signal environment of 25 dBs, so that the jamming signal is more than 200 times stronger than the communication link signal. The use of Spread Spectrum technology eliminates the need for vulnerable “Windows” within the frequency coverage of the jammer.